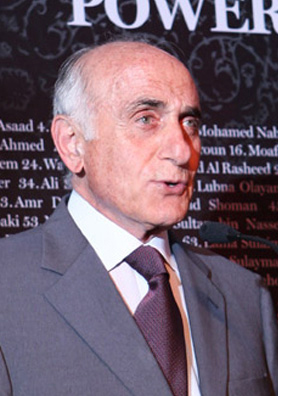 Munib R. Masri is the chairman and founder of the Engineering & Development Group (Edgo). He has a BSc in petroleum geology from the University of Texas in Austin (1955) and an MSc in government and geology from Sul Ross University also in Texas (1956). Munib Masri is the co-founder and chairman of the Palestine Development and Investment Company (PADICO) whose primary goal is to develop the infrastructure of Palestine. PADICO has launched several companies including Palestine Telecommunications and the Palestine Securities Exchange Company. In addition, he co-founded the ICC Palestine (International Chamber of Commerce) and has been its chairman since 2010. Mr Masri is a former member of the Council of Advisers of the World Bank Middle East and North Africa. He continues to be an active member of a number of cultural, educational and humanitarian organisations including the Welfare Association and the Shoman Foundation and is a member of the board of trustees at both the American University of Beirut and Al Quds University in Palestine.